The execution-style murders of journalist Ján Kuciak and his fiancée, Martina Kušnírová, shocked Slovakia, shook up the country’s politics and spurred the resignation of Prime Minister Robert Fico. While Kuciak’s work, including a posthumously published investigation into ties between Fico confidants and the Italian mafia, tapped into widespread animus over corruption, it is less clear how directly the incident has impacted public attitudes about journalism’s role in a free society. Though extreme in its violence, Kuciak’s murder is part of a long pattern of hostility directed media in Slovakia, and Central Europe more generally. In both words and deeds, top state officials from Slovakia, the Czech Republic, Hungary and Poland have regularly sought to portray the press as an enemy. In a striking illustration of how sustained the effort to undermine the press’s watchdog role is, many continue to do so even after Kuciak’s murder. Fico himself has a well-catalogued history of directing aggression at journalists, calling them “dirty, anti-Slovak prostitutes”, “slimy snakes” and “toilet spiders” at various times. In addition, the former premier sought to ignore media he perceived as unfriendly, Alena Kluknavská, a media scholar at the Centre for Nonprofit Sector Research at Masaryk University in Brno, Czech Republic, said. Meanwhile, his government also sought to limit coverage of parliament, cutting accreditations, restricting reporters’ movement and requiring the press to have escorts when attending committee meetings. Fico’s approach is hardly unique in the region, nor is it the most extreme. Miloš Zeman, the Czech president, notoriously posed holding a mock rifle engraved with the phrase “For Journalists”. On a second occasion, Zeman joked with Russian President Vladimir Putin, saying that journalists should be “liquidated”. 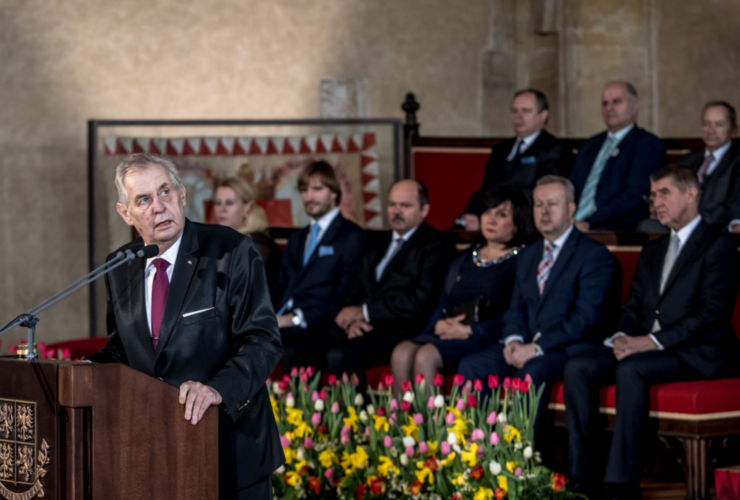 Even more recently, with controversy swirling over Kuciak’s untimely death, Zeman used his inauguration speech on March 8 to criticize specific media outlets, accusing them of “an attempt to manipulate the Czech public”. He condemned Economia – publisher of the leading business daily Hospodářské noviny and the liberal weekly Respekt, among other titles – for “lecturing us daily on how we should behave,” while deriding the work of Czech Television (ČT), the country’s public service broadcaster. Amid similar criticisms from Andrej Babiš, the billionaire who won the October 2017 general election and is now in the process of forming a government, this rhetoric has increased concerns about about future editorial independence at ČT. 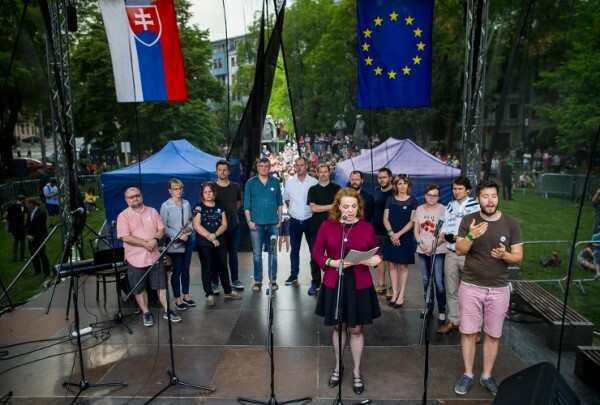 “We absolutely reject any attacks on journalists and independence of the media, especially after the recent events in Slovakia, and in particular those by the highest official of the Czech Republic”, a ČT spokeswoman said in the wake of Zeman’s speech. Just one week later, in Hungary, Prime Minister Victor Orbán campaigned before a crowd in Budapest, and sought to paint media as his one of his opponents. “We are up against media outlets maintained by foreign concerns and domestic oligarchs, professional hired activists, troublemaking protest organizers, and a chain of NGOs financed by an international speculator, summed up by and embodied in the name George Soros”, he said. 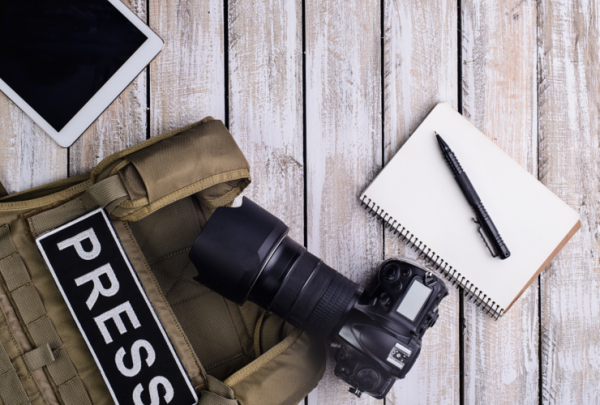 In sum, key power brokers throughout the region are engaged in near-continuous attack on the press, which, along with ownership concentration and a spike in fake news spread via social networks, fuels distrust and hostility toward the press. Though it may have once been possible to write off such comments as short term, if irresponsible, political tactics, in the wake of Kuciak’s death there are also indications that the atmosphere resulting from such talk may – even if unintentionally – give license to rogue actors who take matters in their own hands. “Citizens take their cues from political elites”, Kluknavská said.